Apart from the nightlife and architecture, the cobbled streets and curvy canals add more beauty to this city and if you are an Art lover then the museums of Amsterdam house some of the finest master pieces. There is so much this city has to offer but this time I want to share with you what is beyond the city. I have visited Amsterdam several times and yes, if you are visiting for the first time you have to visit the main tourist attractions but if you have a few days then you must venture out of the city like I did and see what is there on offer. Amsterdam is a popular tourist destination all year round but depending on what you fancy you can chose a particular time. Like many other popular European cities, Amsterdam is bustling with tourists in the summer months when the sun is shining and you can make the most of your time outdoors but this is also the busy period so higher prices and long lines outside museums and other tourist attractions. If you are after the famous Tulips then the best time to visit is spring and see them in full bloom. Winter is quieter and you can get some great deals but you will have to bundle up as it can get very cold. If you want to avoid the cold and the peak summer then you can visit early March or late September early October. Amsterdam is one of the most connected cities in the world with Schiphol International Airport serving as its main airport and a European travel hub. It is also well connected to other European cities through a network of trains and busses. The national carrier KLM is a good airline to fly with and if you are visiting Amsterdam then give the flag bearer the opportunity to fly you into its heart Amsterdam. A great public transport network system in the city and you can reach the heart of the city from the airport via Train Bus or Taxi quite easily. UBER is plentiful and I did use it to travel to and from the Airport. The Dutch are famous for their bicycles and you can’t visit Amsterdam and not try riding a bicycle. One of the best ways to see Amsterdam is to get on a bicycle and pedal your way through the city. I am sure Amsterdam holds the world record for having the most amount of bicycles in a city or country. The hop on hop of bus including a canal ride could be your other option but for me it’s walking through the lanes of the city and finding my own way. I could not think of a better way of covering most of Amsterdam then going with the official I Amsterdam City Card which has been tried and tested since1966. You can order your City Card online and make the most of your time in Amsterdam, with free entry to the city’s top attractions and free public transport for the duration of your stay I would highly recommend it. The only small shortfall is that it does not cover your transport to and from the airport to the city. It offers some great discounts in restaurants and other partners through the city as well. For any information you need about Amsterdam and what there is around it this is your one stop shop for information. I Amsterdam. Depending on the type of accommodation you are after there is something for every traveller in this city. From some of the swankiest hotels to basic hostels Amsterdam has it all. I would suggest living somewhere around Dam Square or Central station as you are in the heart of the city and well connected by the various means of transport the city has to offer. If you are after a longer stay then try one of the many apartments the city has to offer and great place to start your search would be Air BnB. As we were visiting friends this time we did not have to use a Hotel but if I had to, would recommend one of the NH or Marriott hotels for their location. First day was spent in the main city soaking in the atmosphere and visiting some new and some old tourist attractions Amsterdam is famous for but this was followed by 2 days of exploring Amsterdam and beyond. Start the day with a visit to Dam Square, the heart of Amsterdam. If this is not your first time and you are not in a rush there is nothing better than sitting in one of the typical Dutch cafes and savouring a poffertjes and coffee. Poffertjes are mini-pancakes a Dutch speciality served with powdered sugar. One of my favourites for these along with Dutch pancakes which are more like crepes would be Pancakes Amsterdam. A stroll through the square and we head towards one of the most spoken about attractions and new to the list – This is Holland The ultimate Flight experience. This is a great experience where you get an overview of how the Netherlands was created and learn all about the country and its history. Then you move into a 5D flying experience that takes you over the windmills, tulip gardens, fields and seas. A great experience and one I would recommend especially if you have children. It has a small shop where you can pick up some great souvenirs. Next stop another much talked about attraction and one making headlines on Instagram A’DAM Lookout located on top of the A’DAM Tower in Amsterdam North. Just a short walk from This is Holland is another great attraction and making some great waves on social media. A’DAM LOOKOUT an observation deck with breadth taking panoramic view of the city and its historical centre. It has a great bar and restaurant and a unique ride up to the top in a Heavenly disco lift. There is an indoor seating area with a lounge and a state-of-the-art interactive exhibition about Amsterdam’s history and culture. A panorama Restaurant and a Rooftop bar and above all Europe’s highest swing on the sky deck. You swing out at a 100 metres over Amsterdam on Europe’s highest swing and a experience next to none. A’DAM LOOKOUT is a great place to spend an evening and watch the sunset over Amsterdam. Day 2 – The Windmills of Zaanse Schans. As per my title there is so much more to Amsterdam than just the city. This time we visited The Zaanse Schans area which attracts nearly a million visitors every year and is one of Netherlands best kept secret. Easily accessible by public transport or a 30 minutes’ drive from the city centre Zaanse Schans is open to public and comes with no admission charges. This can be done as a guided day tour as well but would suggest just head out yourself and enjoy the natural beauty. Many choose to visit the Zaanse Schans as part of a guided tour or excursion, but the village is also easy to reach under your own steam by car or public transport. You can hop on a train from Amsterdam’s Central Station. A 15-minute train ride will take you to Koog-Zaandijk and it’s a 10-minute walk from the station. Just look for the windmills! Zaanse Schans is also famous for its green timber houses and traditional crafts such as cheese and clog making. The Zaans area was popular with industry and as such the large collection of windmills that powered it. A few of these are still operational and you can visit them for a small fee. We visited the famous cheese making and wooden clog factory where you get a tour of how these arts are still preserved and get your very own clog. Apparently they have the largest wooden shoe inventory in all sizes and colours here and you can try one of these or photographed in a giant one. Watch the clog makers in the workshop and learn about the history of wooden shoes in the museum. You can walk around the green spaces visit the Dutch café and savour some local delicacies or just relax and soak in the fun. A short bus ride away is the city of Zaandam where you can spend a few hours before heading back to Amsterdam. One of the most popular sights of Zaandam is the impressive facade of the Inntel Hotel. A stacking of various colourful traditional houses that are a reflection of Zaan region. You can visit the café of the hotel which provides the best of tradition combined with modern-day comfort. We started the day with a train ride to Harleem, a city of remarkable history and culture and a short train ride from central station. The city houses some spectacular monuments dating back almost 800 years including the cathedral in the centre and a beautiful Dutch town. It was home to some of the most well-known Dutch artists including Frans Hals. We were extremely lucky with the weather and making the most of it our next stop was Bloemendaal Beach. It is has a great shore line and a lively nightlife. You can dip your toes in the North Sea or visit one of the bars and beach clubs. This is a popular spot with locals and getting known to the tourist world as well. Bloemendaal is busy through the summer and has regular live bands and DJs with open air parties that go on well into the night. It is well connected by public transport and is a great place to spend a few hours if the weather is on your side. After spending a lazy afternoon by the beach we head back to the city for a Canal cruise and sign off with a walk down the famous Red Light District. Without a doubt the canals and waterways of Amsterdam are one of the jewels of this unique city and you can’t visit they city and not go on a canal cruise. If you buy the I Amsterdam card this comes with a free canal cruise. You can enjoy the cruise either by the day or when the city is illuminated at night including the options of a romantic candlelight dinner cruise. A cruise on the canal takes you back in time and gives you a lot of history about the city and how it was built and operate till date. We complete our trip to Amsterdam with a walk down the Red Light District which is a popular tourist attraction and attracts millions of tourists every year. Some hate this and some love but everyone is curious about it and tries to visit it on their trip to Amsterdam. There are a number of bars and pubs along the canal where you can taste some of the finest Dutch beers or simply enjoy your evening just people watching. The area is heaving with tourists, couples groups of friends and loving couples holding hands and walking along the neon light lanes and having the time of their life. I must say it is an experience that everyone should live through once in their lifetime and wear the T-shirt – Been There Done That. Amsterdam is home to numerous bars and clubs and boasts of a very vibrant nightlife, so if you are up for a party you are in the right city. There is so much to do and see in Amsterdam that I can hardly relate to it as Sin City, so go ahead and plan your trip and experience Amsterdam. Ride a tram around the Royal Palace and Dam Square. Go back in time with a trip to Museumplein in the heart of the museum district. Try out the delicious local treats like pancakes, fries and cheese. Sip a pint of the finest craft beers in the many pubs of Amsterdam. Take a canal cruise by sunset. Ride a bicycle and see the city the Dutch way. Strike a pose by the I Amsterdam sign. Sip a glass of wine with the famous Gouda cheese. Watch the windmills of Zaanse Schans spin back from time. Swing over Amsterdam at Adams Lookout. Take a few tulips buds home and wake up to the smell of Amsterdam. Visit a Dutch cheese market. Try to fit into a wooden clog. Have a beer at Brouwerij ‘t IJ a small brewery in Amsterdam by the windmill. Go face to face with the masterpiece of Van Gough at the museum. Party at the beach club of Bloemendaal. Visit north Amsterdam by crossing over on the ferry. Taste the Dutch herring at the stall next to the Royal Palace. Fly over tulip fields at This is Holland 5D experience. Get lost in the streets of Jordaan filled with art. 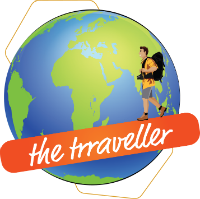 Previous articleTop Tips for Travel. Next articleVenice in the heart of London. There is no doubting that Amsterdam is one of the great cities of Europe to visit with so much to enjoy. When I head back to Europe this year, I will be spending a while in the Netherlands and am certainly keen to get out of Amsterdam to see the Zaanse Schans area with the lovely fields and waterways. There is also much to see to the south and east of Amsterdam as well in terms of appreciating the Dutch countryside. However within Amsterdam itself, I know my fiance is keen to see Anne Frank’s house and we will also be sure to take a canal cruise together. Great post showing so much that this lovely city has to offer. Hope you e hot your trip and can make there soon. OMG I have always wanted to visit Amsterdam. Not only for the windmills clogs and cheese but as you say to venture beyond Amsterdam. This is such a helpful article. Thanks. There is so much on offer apart from the city. You must try and visit. A Well written article. Photographs are awesome. Happy to follow. Your post really made me want to go to Amsterdam. I’ve passed through this city so many times on my way to other destinations. However, never stopped to spend at least a few days there. I’d love to go in spring and get to enjoy their famous tulips. The tulips, the clogs, the windmilss!! Amsterdam is so beautiful. There’s something dreamy about this place. This post has everything one needs to know about Amsterdam. Loved the must do list. Amsterdam is one of our favourite cities. Looks like you had an incredible time there. Those pancakes look delicious, we didn’t see those when we were there. We loved the tulips too and ended up bringing a bag of tulip bulbs home and creating our own mini field lol. A great way of taking a piece of Amsterdam with you is taking a bulb like you did. We are just looking for a stop over somewhere when flying to see my family next summer in Europe. Amsterdam is one option and it looks absolutely amazing! I have used that route multiple times but never gotten out of the airport. I especially love those houses… a must see if we go. Looks like you guys had a lot of fun! Oh Amsterdam is always a great idea. I have not been for a long time but after reading your post I want to go soon again. Especially the house fronts look amazing. Yes always great to visit Amsterdam but there is so much more to see and do outside the main city. Oh I haven’t been to Amsterdam in a long time. I really like your pictures of the tulips, it is so typical of Amsterdam..especially in spring! I always went for a day trip but I would love to stay a little longer. I will definitely go with the 72h card that you recommend. It looks like you had a great few days in Amsterdam. I’ve only been there once and I enjoyed it a lot. I’d love to go back and see a bit more. I’d have to try Poffertjes! I have been to Amsterdam 2 years back and I explored the place in a similar manner like yours. It is beautiful indeed. I chose to visit Kinderdijk instead of Zaanse Schaans. The places like Harleem, Bloemendaal, also Delft and Rotterdam seemed really interesting to me. Glad to see that you had a great time. Yes had a great time and good you could visit outside the city. Oh my gosh! I don’t even know where to start. Every places you visited in Amsterdam and beyond are just special in their own way and your pictures are just great! The poffertjes and Dutch pancakes at Pancakes Amsterdam are to die for and I know my son will beg me to go there everyday for breakfast. lol. Watching the clogs maker and tasting the cheese are something that ones shouldn’t miss. The Inntel Hotel, hmm… how does it feel to stay in the upper right room? There are so much in this article that makes me want to visit Amsterdam badly. This looks like a well-done itinerary. And you guys must have had fun there. I have had Amsterdam on my wishlist for a long time now. Hope to visit it soon. And see some of these attractions. Your guide will surely come in handy. I love that Pancake place by the way. Hope you can visit it soon. The pancake 🥞 place indeed yummy. I LOVE Amsterdam! Your post has me missing it so much! And what a great overview of the many different types of experiences the city has to offer. I’m all about the tulips and cheese too! My fiancé really wants to go and I am going to bookmark this post to reference when we decide to visit again! Thanks. Hope you can visit together soon. I have visited Amsterdam many times in the past but after reading this, I think it’s time to visit again. It’s great that you took a day trip to Zaanse Schans- I love that place. It looks like you had a great few days in and around Amsterdam. My husband has stayed in this beautiful city and talks lot about Amsterdam. I have not visited yet but it would be great to see canals, beautiful houses and some nightlife in this city. As I am an avid art lover, it would be great to see some masterpieces. The nearby city of Zaandam looks worth a day trip from this city. Visiting wooden factory and the Zaanse Schans area would be great too. I love Amsterdam! The city is beautiful and spotless, the people are friendly, and the food is unbelievable. You’re absolutely right – you can’t visit the city and NOT go on a canal cruise! I got to make a brief visit to Zaanse Schans – I really wished I had more time to spend there. But if I go again, I know your post will be the perfect guide for me! I will be there soon for the Tulip festival and looking so much forward to it! Your beautiful pictures just reminded me of how pretty it is there. I have visited several times but still found some of the places you highlighted to be added to my list like the ADAM lookout for a great shot of Amsterdam! Your post brought back vivid memories of my visit to Amsterdam. It remains one of my favorite cities in the world by far. Zaanse Schans is such an outstanding place to visit.The canals of amsterdam are the best place to be when in the city. I didn’t know about the watch tower Adam, i guess it’s a new development. The A’DAM Tower is quite new. It’s always great reading about the dam, as I used to visit so often. I never made it to see the windmills weirdly enough or see Haarlem or that wonderful beach either. I much prefer reading about lesser known places, as clearly there’s more to see in Amsterdam than just the canals, and the red light district lol! Indeed most people end up just with main Amsterdam and not the beautiful places a short distance from the centre. Hope you can visit again and see the Zaanse and other areas. Amsterdam looks like such a family-friendly city. Perfect for my little traveling tribe. Dam Square reminds me of a square we visited in Bruges. Can’t wait to try the pancakes! My husband was in Amsterdam last year for some work and he was clueless regarding what all to see and how. This is a very informative post and ticks all the right boxes. The travel card is a very helpful tip. The Poffertjes look so yum. Glad that you mentioned Uber. It was a lifesaver during my Amsterdam walkabouts. I tend to wander around and go off major thoroughfares. Since Amsterdam is such a walkable city and side streets are so pleasant and full of unexpected surprises (a pub, a coffee shop, simply chatting with locals…), it’s so easy to get lost somewhere over there. At some point, your legs just give up and refuse to make another step. Since taxis are not always around on some smaller streets away from tourist attractions, Uber comes to the rescue. This is a very helpful post for Amsterdam. I have plans to visit this year and will try and cover most of it as mentioned above. I am definitely very keen around the canals and museums and food. Thanks for sharing this detailed Amsterdam guide. I think visiting them during the summer and spring would be lovely, and I wish to visit their cheese factory and clog makers. Do you think a week would be enough? Hope you can visit soon. I have been to Amsterdam many many years ago in my early twenties and I can’t remember much let me tell you that way! But now a bit older and bit wiser I hope to go back there to see the Amsterdam with a new pair of eyes! I am mostly interested of going there on speing for the tulip festival! And I am alos keen of having a tour on a bike like the locals! Ahh, thank you for reminding me that there are more to Amsterdam than the Red light district ! I really wanted to visit Zaanse Schans when I was in Amsterdam but didn’t have enough time, so next time I go back, that would be my priority. You’ve definitely included a solid list of activities to do there. Glad you guys had a great time! This is a great detailed itinerary to Amsterdam. You definitely noted places of interest that were outside the traditional, tourist traps. I love all the beauty and natural elements in Holland. Your photographs are fantastic! I have been visiting Amsterdam every year or two now for more than two decades, and it never fails to surprise me. You’re really captured the essence of the city and all the various attractions it offers. Even after visiting so much, going through your Must Do list I can see i’ve missed out on quite a few things like Amsterdam Lookout (which is new), Bloemendaal, or try the Dutch herring. Next time! Those windmill , cheese and the clogs they are the highlight according to me, specially those shoes. Those clogs are something; so quirky, giant, tiny and everything, I would love to take one home with me as a souvenir. I have never been to Amsterdam so your guide is good to go for me. Also, amazing pictures.